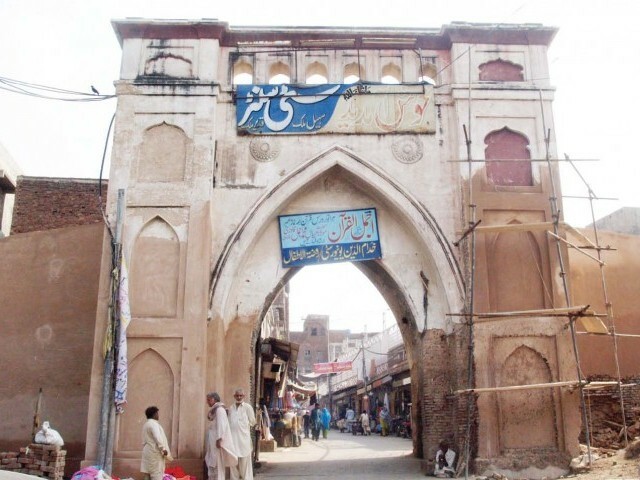 The Punjab Archaeology Department in collaboration with the City District Government of Lahore has started work on the conservation project of four historical gates — Sheranwala, Bhati, Kashmiri and Lohari. Officials told Dawn the conservation plan also included an awareness campaign pertaining to wall chalking and posters display by a number of political parties on these gates and other such historical monuments. "Workers of different political parties do not care that monuments are historical assets and pasting posters on these structures mar their beauty," an official said. He said after the conservation and renovation of the gates the Punjab Archaeology Department would ensure that no wall chalking or poster pasting be done on historical structures with the help of CDGL. "We have distributed printed material among locals of the area to create awareness about the safety and care of archaeological treasure." A total amount of Rs13.8 million would be spent on the conservation of four gates. The gates are in a bad condition and need immediate renovation. The conservation would be done on deteriorated fresco paintings that of floral and geometrical designs. Moreover, structural consolidation of the gates is also a major part of the conservation project. According to the official, all encroachments around the four gates had been removed with the help of CDGL which was a major hindrance in the smooth and uninterrupted conservation process. He said maintenance and repair works were also being carried out at two world heritage monuments in Shalamar Gardens and Lahore Fort. "In the fort, work on Dewan-i-Aam is being done and Shalamar walkways are being treated besides other works going on in these monuments."